Let’s face it—you are busy. Life has you running 100mph. Do you really have time to take 3, 4 or even 5 fish oil capsules a day to get the Omega-3 nutrition you need for optimal health? 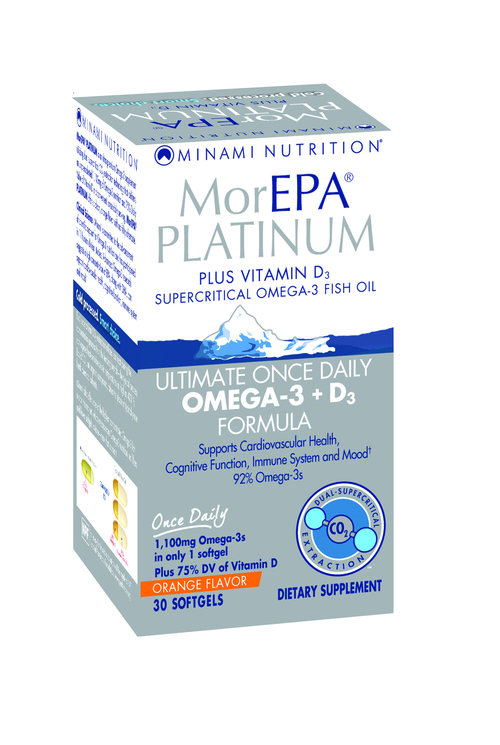 Now, you don’t have to—thanks to Minami MorEPA PLATINUM—the Ultimate Once Daily Omega-3 solution. 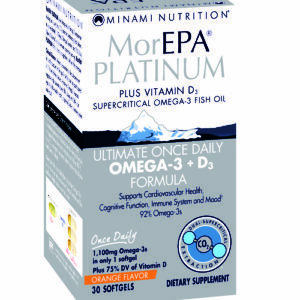 Minami MorEPA PLATINUM is an ultra premium Omega-3 supplement utilizing supercritical CO2 extraction technology that delivers an unprecedented 1,100mg of Omega-3 nutrition and 75% Daily Value of Vitamin D in a convenient, once daily serving. Minami PLATINUM offers a clean, orange flavor with no fishy aftertaste. Who should take Minami MorEPA Platinum? 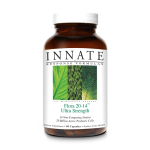 Supercritical CO2 extraction utilizes less heat than the leading brands—the typical process can expose heat-sensitive oils to temperatures as high as 400° F.
Minami also offers one of the highest concentrated Omega-3 fish oils on the market, which means more Omega-3 nutrition, no fillers and fewer softgels to take—now that is smart. Supercritical Difference: Minami oils utilize liquid CO2 extraction and are exposed to less heat than other leading brands with no saturated fat as filler. Super Concentration: Minami is one of the highest concentrated Omega-3s available, which is “super convenient” because you get more Omega-3 nutrition per softgel which means fewer pills and tablespoons of oil to swallow.